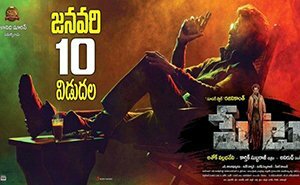 South Superstar Rajinikanth is all set to Rajinify his fans this Sankranthi with his mass action entertainer, ‘Peta’ movie directed by Karthik Subbaraj. 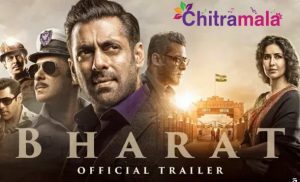 The movie has been carrying a decent pre-release buzz and the trailer of the film has received a thumping response from the audience. Rajini is going to impress all the mass audience with this movie which also stars Simran, Trisha, Vijay Sethupathi, M Sasikumar, Bobby Simha, Nawazuddin Siddiqui etc. Ending the long wait, the movie finally got released today on January 10th, 2019. Let’s check out the review of the film. Peta (Rajinikanth) hails from Uttar Pradesh and is being chased by Simhachalam (Nawazuddin Siddiqui). Peta changes his identity to Kaali and joins a hostel as warden. He then becomes close to the students over there. But at a point, it is revealed that Peta changed his identity on a purpose. Why did Peta change his identity? Who is Simhachalam? What happens in the end? Forms the story of the movie. Rajinikanth is undoubtedly one of the finest actors in the industry and he never fails to prove the same with his performance in each movie. His wonderful performance in the film is one of the reasons which make the audience sit throughout the film. His dialogue delivery, body language are too good. Vijay Sethupathi delivers a charming performance which will definitely strike the chord with the audience. Especially during the action sequences, his performances will be an eye feast for the fans. Simran and Trisha looked absolutely gorgeous in the film. One can never believe that Simran is a 42-year-old actress and Trisha justified her role well. M Sasikumar and Nawazuddin Siddiqui delivered powerful performances. Bobby Simha also did his best. The rest of the cast also made their presence felt. It is known that director Karthik Subbaraj has a unique style in presenting a story. Though the story doesn’t have anything to rave about, Karthik Subbaraj handled it really well by adding equal amounts of commercial elements. Also, the finest performances by the actors helped the movie. Dialogues by M Rajashekar Reddy are also well-written. Production Values are very high. It is evident that the producers haven’t got compromised in terms of quality of the film. The visuals by cinematographer Tirru are outstanding. Music by Anirudh Ravichander is undoubtedly one of the major highlights of the film. His background music also made the movie even more interesting. Editing by Vivek Harshan is good. Peta starts off on a dull mode but it slowly picks up by the interval. Hardly, any story takes place in the first half but the premise looks solid by the end of the first half. The fans would totally love the interval sequence without any doubt. Like it was promoted, the film actually looks like a love letter from the fan to his favorite demigod. 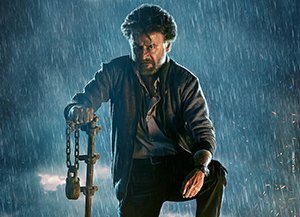 Karthik Subbaraj carved a neat execution out of Rajini’s style and swag. There are plenty of joyful moments in the movie that the fans can enjoy. The best part of the film is Rajinikanth’s character which is made up of everything. He brings out his chirpier side and then presents himself in a violent shade as well. The film derails in the second half bigtime as it brings some boredom into the viewing experience. Although the climax offers interest again. Being said that, the film Peta is enjoyable for the fans who are missing the trademark style of Rajini for a long time. For rest of people, Peta is a decent watch if ignored a few dull moments.